1. 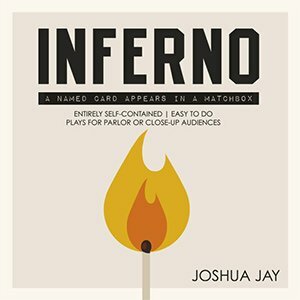 ALL you need for each performance is the matchbox. No cards are palmed in, and you don't have any kind of index. It's totally self-contained inside the matchbox. 2. There is no sleight of hand to speak of. If you follow along with the DVD once, you will be ready to perform the effect. There are a few things to remember, but technically, the effect is quite easy. 3. Everything is examinable at the end. When you're done, the spectator is holding her thought-of card, and the matchbox it came from. And, both props are totally legit. 4. Although the demo shows a close-up performance of Inferno, in fact the effect plays just as well (if not better) in a parlor situation. There are also no angle restrictions whatsoever. Do it surrounded if you like. Rarely does an effect come about that fits in a shirt pocket and can be done anytime, anywhere. 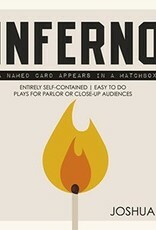 We hope you enjoy Inferno, and we know your audiences will.